David Wright came through. He came through in the clutch. With his team, the only professional team he’s ever known, down 2-0 in games and 1-0 in the first inning of Game Three, David Wright launched and smacked and whacked a 400 foot, two-run homer out of the park to give his beloved Mets a 2-1 lead and a much needed boost just when they needed it most. Clutch is defined as “exactly what you need, exactly when you need it.” Wow. That pretty much sums it up and says it all. But we can go further. As a noun, in life and in sports, clutch means “the crucial moment that comes between winning and losing.” And as an adjective, it means” being able to perform under extreme pressure.” Clutch, the verb, means simply this: “getting it done.” That’s it and that’s all. And David Wright got it done last night. And Wright’s home run in the first was just the beginning; he wasn’t finished. He stood in the box with bases loaded in the sixth and jumped all over a fast ball and produced a 2 RBI single to put the icing on the cake. Mets – 8; Royals – 3. Game over. Now, all the Mets need to do is to win the rest of their home games at CitiField and go back to KC to pull off yet another Mets miracle to win another World Series. Clutch players thrive on clutch moments. And clutch moments don’t come around every day. 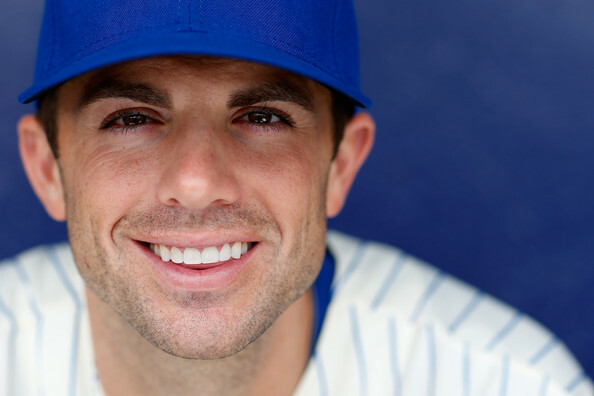 Wright missed most of 2015 because of a back injury, somehow got healthy again, and after 1,546 games in his regular season career, he finally appeared in a World Series. And in his first at-bat in front of the home town crowd in a championship game, he sent an 0-1, 96 mph fastball from Yordano Ventura over the wall in left-center for a two-run home run. Don’t you love the way baseball works sometimes? It was a great moment for Wright, who has played the second-most games in Mets history, a great moment for the fans, and an important moment for the 2015 Mets. After the Royals scraped across a run in the top of the first with the help of a little infield trickler — here we go again — Wright’s blast erased the lead and set the tone for an offense that would attack Ventura in his short stint. Wright came through. Wright came through in the clutch. And clutch players are our heroes. Spiritually speaking, we call “clutch” coming through “just in the nick of time.” Our God is clutch. He comes through and comes in and comes by and comes back for us just when we need Him most. And, don’t forget that we are the arms and legs and feet and hands of God. That means we are the ones that God uses to come through for others just like He comes through for us. Naturally and spiritually, we all need our heroes to come through for us in the clutch. Just remember, sometimes that hero is you. Next > What Happened To The Mets?